So, you’ve heard the news about vSphere5 and all the goodies that come with it, and you’d like to try it out before you actually upgrade your entire server farm. That’s fair, but do you have a spare physical server just for some light testing and prodding of the new features? No? Perfect, you’ve come to the right place. I’ll show you how you can run your ESXi5-installation virtualized under your current ESXi4.1 environment, without even entering the server room to install it. 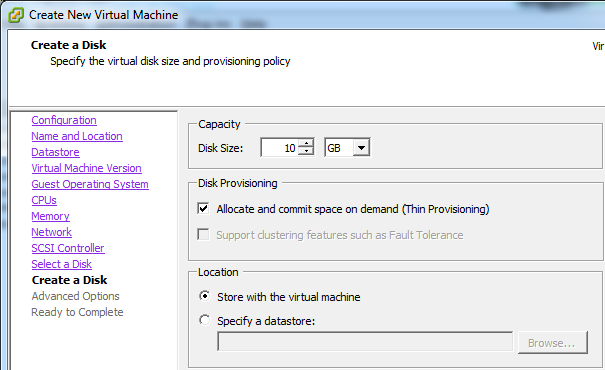 First off, start by creating a custom virtual machine. 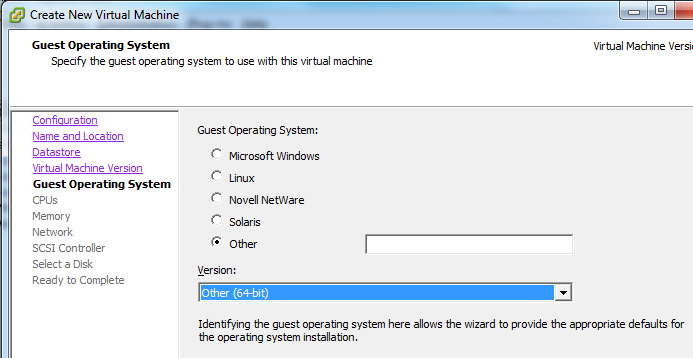 Create a Virtual Machine Version 7, then choose “Other 64-bit” as your Guest OS. 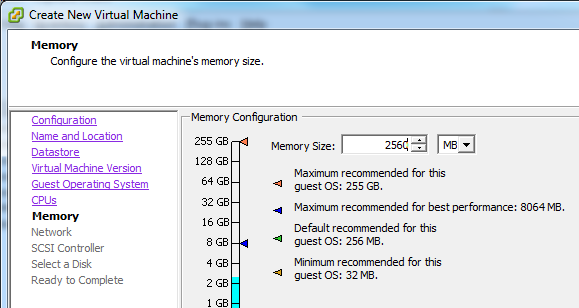 Add 2 vCPUs, 2.5GiB RAM and 2 NICs. 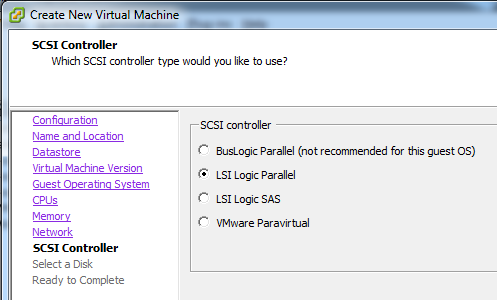 After that, add a hard disk using the LSI Logic Parallell adapter, make it 10 GB. I also prefer to make it Thin Provisioned. 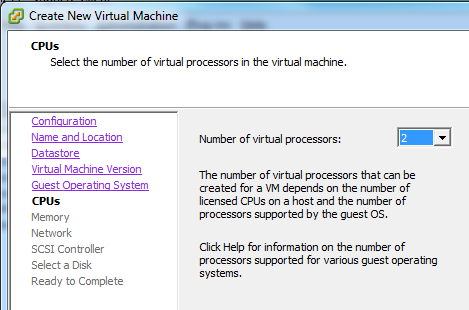 Now mount your ISO to the virtual machine, make sure it’s connected, and that’s pretty much it! 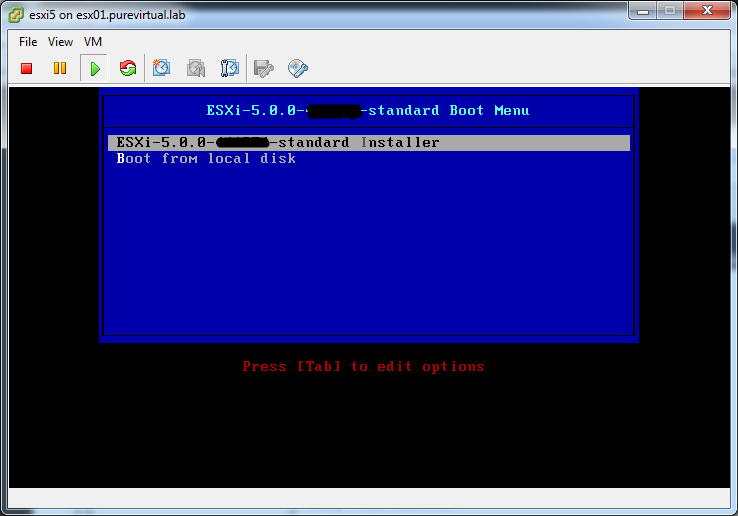 Now you can go ahead and install ESXi5 just as you would on a physical machine. 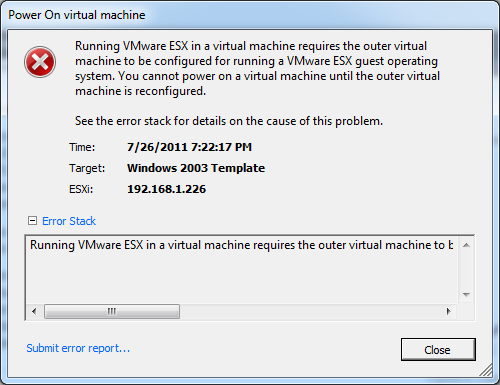 However, remember that only 32-bit virtual machines are supported under a virtualized ESXi-installation under 4.1. 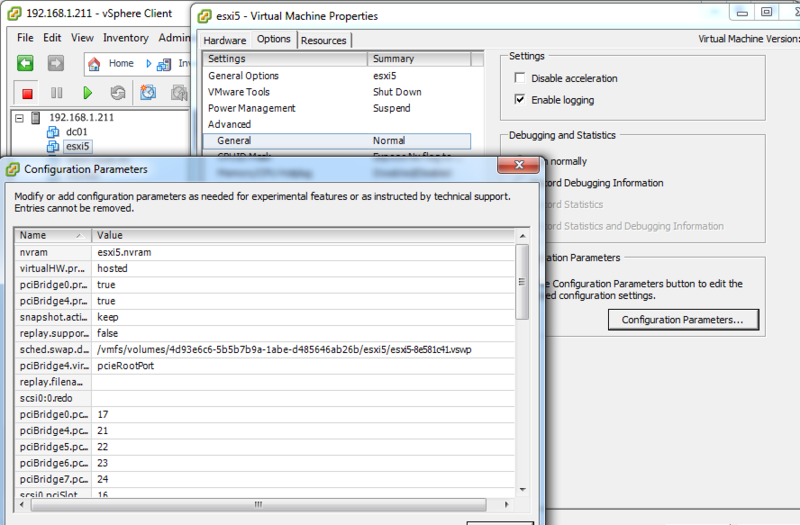 To further do even more testing of vSphere5, as well as running nested 64-bit VMs, I highly recommend you to use virtualized ESXi5 under ESXi5, as shown here by William Lam. 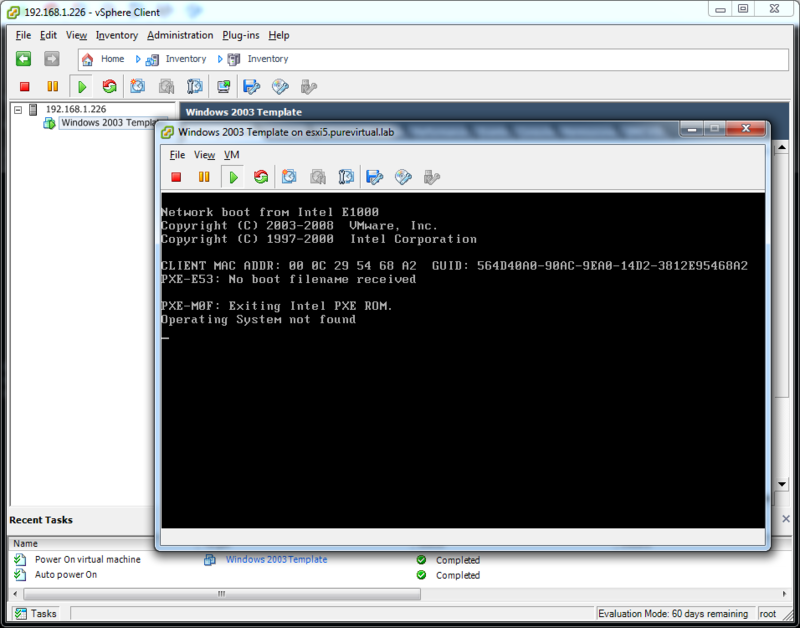 Now go have fun and explore vSphere5, and let me know if you run into any issues!